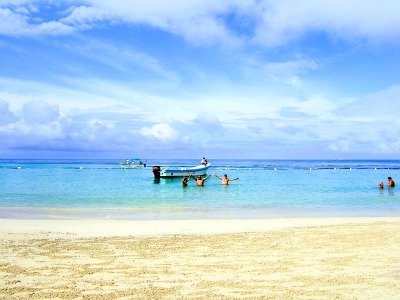 It’s no mystery why the beaches of Roatan are so awesome. They are in the Caribbean, check; clean, clear water, check; and are brilliant white – check! This is a wonderful place to visit, even if you are on a cruise ship, so let us say right here that if you have the opportunity to go ashore here in Roatan, take it. Yes, the beach will be crowded with your fellow shipmates, but you’re not here everyday and the visual excitement will have you talking about Roatan for years. If you’re a diver and are going to Roatan for that, well…you’ll probably not be visiting here. The reason Roatan and Honduras itself are great for diving is that there aren’t too many sandy beaches to silt up the waters along the coast. Hey, this means there is some very good snorkeling here, too. Cruise ships bring their guests here and it can get crowded even with the expansive beaches. 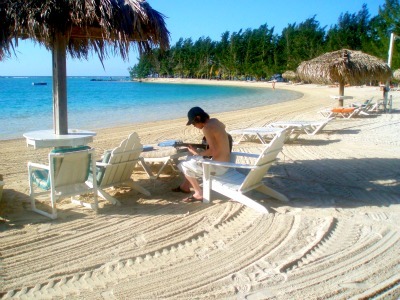 There is Henry Morgan Resort along with Tabyana Beach Resort, both with beaches ready for the cruise ships in West Bay. Depending on the day, it can get crowded. The sand here is perfect – soft and white and fine – and the snorkeling is decent when everyone is in the water and pretty awesome when it is just you and the fish. The water can get deep near the reef – about 30 feet. If you’re staying on the island you can come onto the beach through Bananarama Restaurant. Eat there as well and you can use their facilities during the day. Remember that there are a few people selling various gift items along the beach which is perfectly legal here. This is a long beach with plenty to see and do; a large variety of restaurants and sports. Some areas have shade and you will pay a few dollars if you want to rent a chair or umbrella. You’ll find everything from beer to massages right on the beach here, so enjoy your stay!